Compliance Engineering International is a recognised training provider and regularly delivers courses to manufacturers on compliance. Tailored courses can also be designed and held on site at your company offices. We deliver training in conjunction with SQT and Engineers Ireland. This course provides an overview of the legislative position on CE Marking of Machinery/Safety Components, including the Low Voltage & EMC Directives. It also covers the technical and procedural aspects involved in Machinery Directive assessments, including testing requirements. Our training courses provide the design engineer and manager with the working knowledge of standards and compliance requirements to define their product development policy. The courses provide a good working knowledge of EMC so that the engineer can incorporate the EMC design features necessary to minimise the cost of meeting the EMC Directive. The course covers standards, testing, shielding, cabling, pcb design and filtering. This course covers aspects from the basics to interpretation of the guideline standards. The control of electrostatic levels during the manufacturing process is an essential part of quality assurance. It is of paramount importance to ensure good production yields and the prevention of latent failures which will result in product returns. The increasing level of sophistication of IC technology is increasing the potential susceptibility of devices. As the effects of electrostatic damage may not be immediately obvious staff awareness and protection systems can deteriorate. The effective control of ESD in the manufacturing environment requires the continual motivation of staff Increasingly stringent customer requirements for high product reliability at component as well as at system level pose new challenges to quality conscious manufacturers. Product design, manufacture, test handling and service all have ESD impacts of ESD scenarios and measuring techniques. 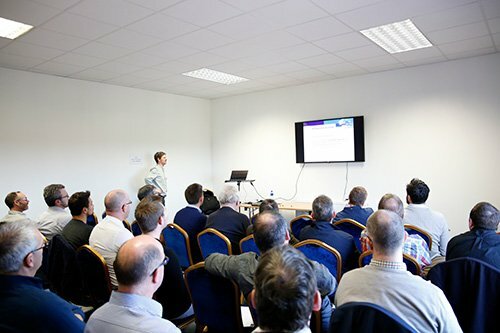 This one day course provides a comprehensive coverage of the subject and will include practical demonstrations of ESD scenarios and measuring techniques. Thoroughly understand the generation and action of ESD events. Understand the protection philosophy and design of electrostatic protected areas. Understand the application of appropriate quality control measures.